Part of our Bold Geometry trend collection this style is defined by angles that create a great tactile and visual experience. Double-walled vacuum construction with copper insulation. Keeps drinks hot for 8 hours and cold for 24 hours. 410ml capacity. Available in 2 colours. The construction also prevents condensation on the outside of the tumbler. 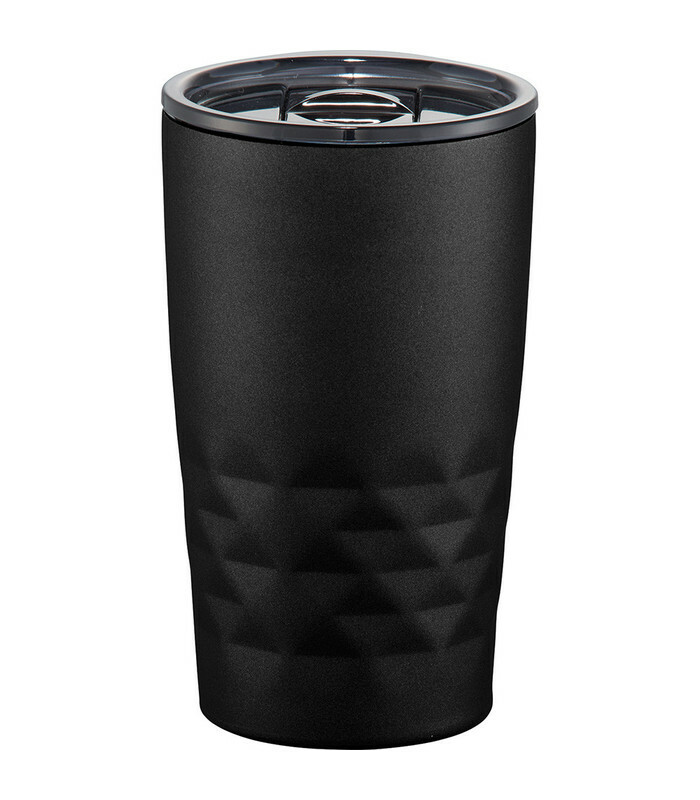 Compact design fits easily under most single cup or K-cup coffee makers as well as in all standard cup holders. 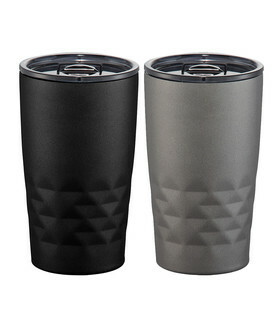 Easy sipping@ push-on lid with slid closure. Wide opening for comfortable filling and pouring. Packaging In a polybag and presented in a bubblebag.